Insights into a thermodynamic duo could inform engineering decisions and improve the functionality of designs featuring elastic components. 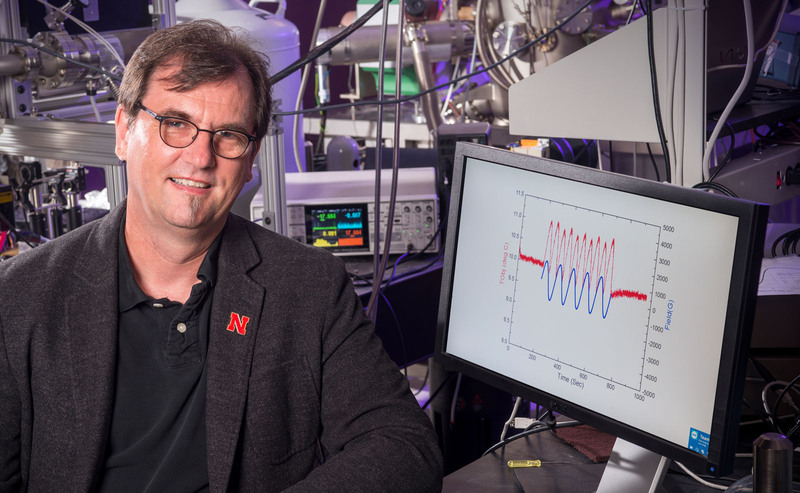 Nebraska physicist Christian Binek found that, under certain conditions, the magnetism of certain materials can predict the relationship between their temperature and elasticity. His finding could allow engineers to control the elasticity of those materials by strategically designing their magnetic properties or applying a magnetic field to them. 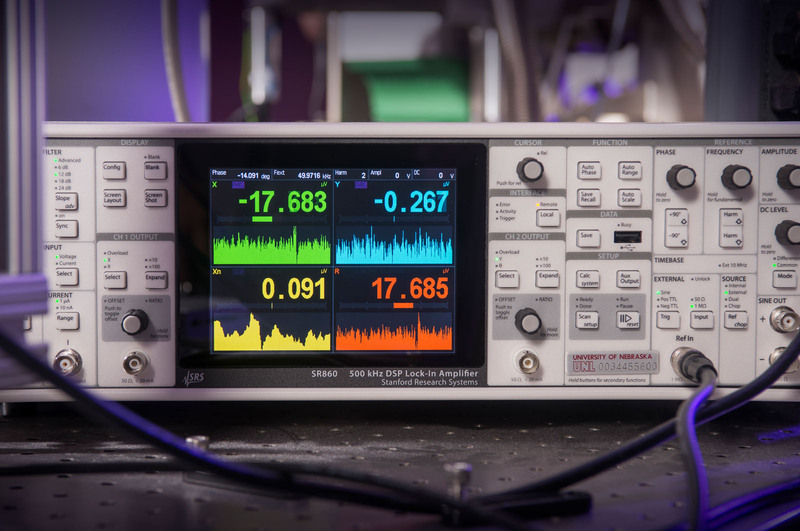 Christian Binek’s computer monitor displays measurements of temperature variations, giving researchers insight into materials’ thermal properties. 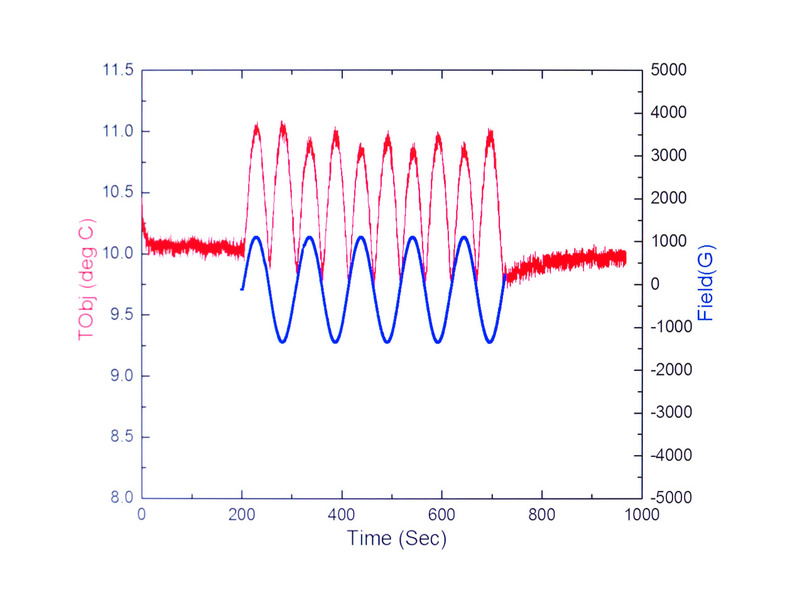 Given how easily magnetic fields can be manipulated, Binek said, that could eventually mean tailoring elasticity in real time with the turn of a knob. In the meantime, knowing whether and how elasticity will respond to temperature changes may help engineers better select materials for specific purposes. Binek cited the disintegration of the Challenger space shuttle – caused by the temperature-induced hardening and failure of an elastic O-ring on its rocket booster – as evidence of elasticity’s importance in engineering design. It’s long been known that the laws of thermodynamics encompass the properties of magnetism and elasticity. By deriving a new formula from existing ones, Binek showed that the elasticity-temperature relationship is basically encoded in a material’s magnetism. The formula might even apply to ferroelectric materials, whose alignment of positive and negative charges, or polarization, can be reversed by an electric field. Measurements of temperature variations, giving researchers insight into materials’ thermal properties. Binek conducted his research through the Nebraska Materials Research Science and Engineering Center, funded by the National Science Foundation.